No open thread for the Papajohns.com bowl? GRRR. No respect for my Wolfpack! Don't remind me that they lost. I think you're being generous to the Big Ten. Is the audio off or is Ron Franklin slow at announcing? What was that sign? "Wildcats r not purple?" What the HELL does that mean? He's not just slow. He's completely LOST! He started out the game not being able to keep track of the down, and he's constantly mis-calling whether or not the ballcarriers are reaching the first down line. It's like he can't actually see what's going on! This is as bad as I can recall for some time from a somewhat respectable play by play guy. I was mocking Shaun King earlier for his color commentary during the PapaJohns Bowl, but that's to be expected from him. Franklin should be much better. This is embarassing. Someone might want to tell these stupid dopes that even if there was just a few minutes left in the game, Northwestern would never be dumb enough to go for 2 with a 2 point lead. Who the hell is the color guy for this? He is terrible. The voice is familiar, but I can't place it. First of all, it is pretty obvious why the review of the NU TD took so long: His right foot did not hit the ground, dumbass! And what was all that talk about going for two? Who in their right mind goes for two when the kick PAT gives you a field goal lead? Even without this he has been thoroughly mediocre throughout. I hope they don't have him scheduled for any other bowl games. "It is a turnover and it is 4th down" - Ron Franklin following an OT sack by MIssouri and then the ball came loose. Play is under review, but you can't have both a turnover AND 4th down. before the Mizzou kicker missed the end of regulation kick, EdCun said he was the "most accurate kicker in the history of college football"...hmmm what? Chase Daniel's sister is hot...what's her name? 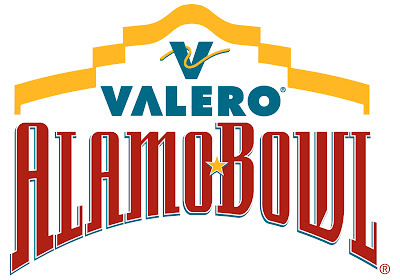 And of course, who can forget Ron Franklin's references to the "Alamo City" Bowl--there were at least three! Cunningham and Franklin were brutal. It felt like they did no research for the game. anon 10:57 can't figure out who the color guy was -- yet he clicked on the comment line which is 2-inches below the name of commentators for the game. that's one bright dude who couldn't see that!! My response to Franklin and Cunningham's lack of preparation is under the current format, all bowl games are meaningless, so what's the point? The only people that cared about this game are probably MU and NU alumni anyway. If the game had any significance then perhaps it would behoove the broadcasters to take it seriously. @ Brad James: Seriously. Write a letter to NCAA instead of constantly complaining on here about it. We get it. You hate bowl games.